Increasing Canary Singing. A Canary QnA Session. 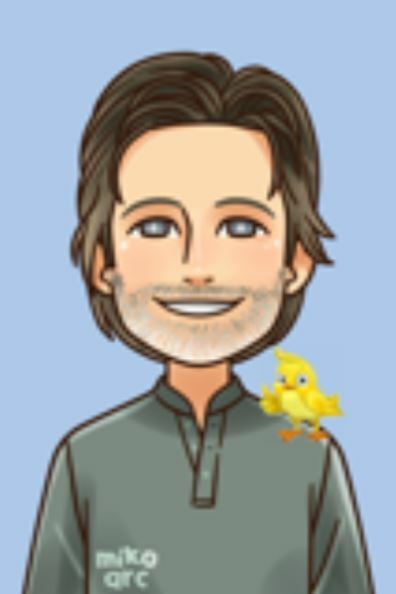 How Can I Increase Canary Singing in My Bird? The following question comes from Jon in New York regarding increasing canary singing. I'm worried. My canary, Rascal, started molting in July, lost a bunch of feathers, and now seems to be done with the molt. I read at CanaryAdvisor.com that it's normal for him to not sing during the molt but why is he still NOT SINGING? It's November and I miss his beautiful canary songs. Great question! Lack of singing is a common problem that canary owners face. Sometimes a canary needs a singing JUMP-START after finishing the molt. Hearing another canary nearby, whether it's a real bird or just a recording, can help get that done. Canaries are territorial and do quite well alone...as the single canary in the house, however, they still like to know that there are other canaries somewhere nearby. They'll sing to announce themselves and establish their territory. They'll also sing to attract a mate during breeding season which is in the spring and early summer. So, what we'd like to do is create an environment where our pet canary bird feels it's necessary to sing and announce his presence to other canaries. When people have more than one canary I often recommend that they use two cages and put the birds in two separate rooms (or across the room from each other). It's best if they don't share a cage. Often, when 2 canaries share a small cage, singing can slow or stop completely. Fighting among 2 or more birds is also an important concern. This strategy of using two cages can quickly jump-start singing or dramatically increase singing as they sing to each other across the house. Just hearing another canary singing usually works wonders. Of course, you don't have to get another canary and cage. 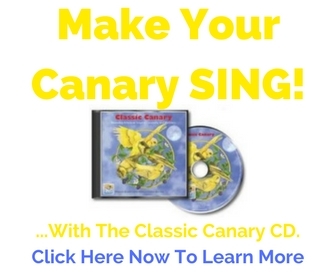 You can simply get a canary song CD. It's almost magical how quickly a canary song CD can immediately start your bird singing again. However, I'm assuming that your canary has a great diet, is stress free, and is not sick. There is plenty of info on those topics on CanaryAdvisor.com. I hope that answers your question. Please let me know if there is anything else I can do for you. For more on canary singing click here. A draft seems to create sick canaries. Canary Health and How to make my canaries breed.